A superb yellow shot! Just incredible detail. Wow. Wow, wonderful close up capture and great for the challenge. Amazing detail in the bee. What a beautiful yellow composition. So sharp, wonderful, great capture....fav! best yellow i've seen so far! Stunning focus - wonderful color and lighting. 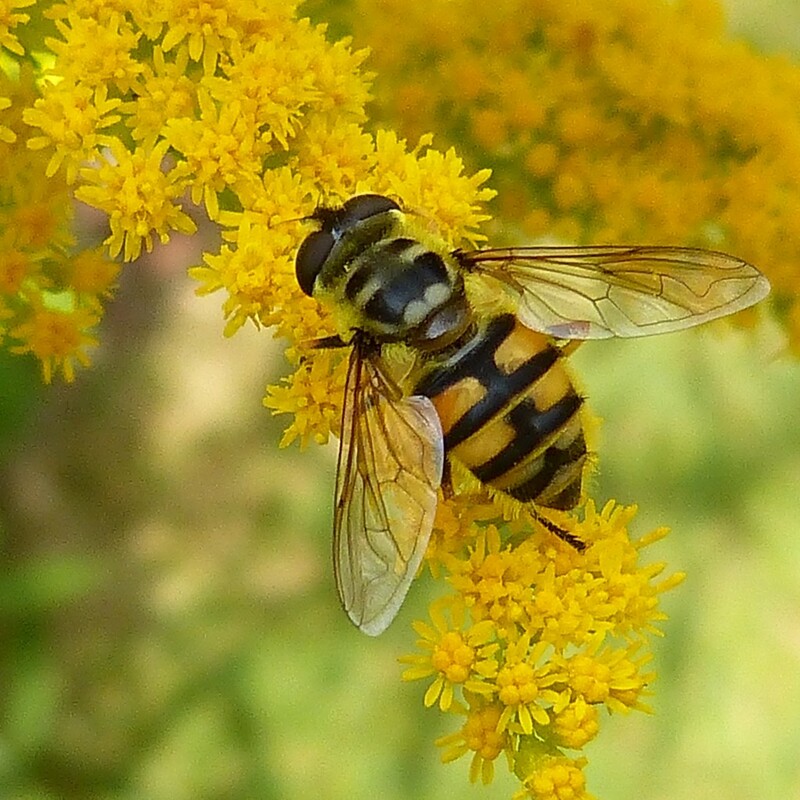 just wow, so much detail here - very crisp and clear - isn't it a hoverfly, not a bee? Wow! Fabulous composition & focus. An amazing yellow shot! I’ll just agree with all of the above. Big fav. This is stunning, Hazel! See you on the TT page, mark my word! Fav! I missed this yesterday. It's lovely and perfect for your yellow day.